Is there an opportunity to develop mediation as an Alternative Dispute Resolution (ADR) process for the resolution of property and construction disputes in the United Arab Emirates (UAE)? Mediation Part I identified the key elements to the mediation process including both the advantages and disadvantages of this approach to dispute resolution. Mediation Part II now seeks to identify both the opportunity for and challenges facing the introduction of mediation as an ADR process in the Region. Although these notes focus on the UAE, many of the issues addressed will be equally applicable to other locations throughout the Middle East. To enable the opportunity for mediation of property and construction disputes to be considered, a number of key characteristics of the UAE (and wider Middle East) market need first to be understood. These include culture (including religion), business ownership and custom, legal framework as well as market opportunity. The UAE, like most countries in the Middle East, is a Muslim country and the majority of business must have regard, either directly or indirectly, to Shari’ah the code of conduct or religious law of Islam. Fortunately, the binding principles of Shari’ah are supportive of mediation as a process. In particular, under Shari’ah Law, parties are required to honour their agreements and to seek amicable, consensual settlement of disputes with outcomes that are fair and just. There is therefore no barrier to mediation under Shari’ah Law. On the contrary, there is support for mediation as a process for resolving disputes. This is important as any conflict with Sharia’h Law would prevent mediation being promoted at either an individual or business level. In the UAE, business ownership and licensing requires, except in free trade zones (e.g. Dubai International Financial Centre (DIFC)), businesses to comprise at least 51% local Emirati ownership. In some cases, this will take the form of sponsorship, providing little more than a local ‘sleeping partner’. In other cases, the local partner will take an active interest in all business matters and, in particular, key decisions. In addition, there are also a number of key ‘family businesses’ (wholly owned by Emiratis) including those controlled by the extended Royal Family in each Emirate. At a day to day level, the majority of business in the UAE relies upon an expatriate workforce. However, in most cases, the final decision maker will be local Emirati. Arab nature is generally non confrontational with individuals actively seeking to avoid conflict in both their personal and business lives. Unfortunately, within this culture the avoidance of taking decisions is also prevalent thereby making the pace of business sometimes quite slow. Often key decisions (including the resolution of disputes) are taken outside the normal Western business area (i.e. the office) between Emiratis in the majlis. Confidentiality and the avoidance of bad publicity are key drivers for this approach and non-Emiratis will generally not be present. The understanding of this business framework and culture is important when seeking to promote any new business idea or approach in the UAE and particularly relevant to mediation where active involvement of the parties (with authority to settle) is a pre-requisite. The UAE operates under a civil law jurisdiction. 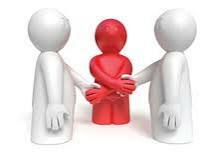 This is important when considering mediation as it is unlikely that the principle of “without prejudice” will apply thereby potentially leaving a party exposed in later proceedings. The UAE also operates a legal framework comprising a federal court system which applies to five of the seven Emirates (Dubai being a notable exclusion) but which is not fully integrated into the federal judicial system. Each Emirate has its own secular and Islamic courts with all proceedings conducted solely in Arabic. At a business level, the legal system is therefore considered to be time consuming, costly and unreliable. This provides an opportunity for mediation as an alternative to litigation. A major part of the growth in the UAE economy has been driven with the support of real estate, construction and infrastructure projects. The UAE saw a phenomenal growth in the number of such projects prior to the recent and ongoing global economic crisis. Unfortunately, this now leaves the UAE with an increasing number of disputes post crisis as parties scrutinize (often weak) legal contracts for opportunities to protect their position in a significantly weaker economic climate. The market opportunity for mediation as a confidential (this is key) dispute resolution process is immense. In spite of the rapid growth in the real estate sector, the UAE property (and business) market remains quite immature. All business tends to operate on a two-tier basis – expatriates at one level, Emiratis (including Government) at another level. For any new initiative, separate approaches will be required for each taking into account the business and cultural differences. So, is there an opportunity? Undoubtedly, yes! The real question is: how can the use of mediation be developed in the Region for the resolution of property and construction disputes?